What would it look like if the animals ran the zoo? That’s the image that came to mind the first time I heard about Zappos’ new way of running their business. It’s called a holacracy and it sounds pretty strange. Zappos is primarily an online shoe company. They have been doing phenomenally well. So much so that after only 10 years of doing business they were making over a billion dollars in annual sales! So why mess with a good thing? 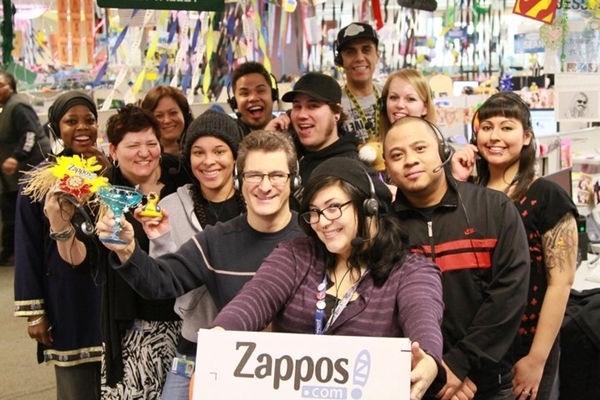 About two years ago, Zappos decided to change the way they do business. Not with their customers which has always been their strong point. Zappos has excelled at that aspect of the business, sending out gift baskets, cookies, and “thank you” cards routinely to customers out of appreciation or to apologize for something that went wrong. One time a woman wanted to return a pair of boots her husband had bought but never worn. He had died and so she called the company. The next day, a floral arrangement was sent to her by the person who talked to her on behalf of the company. When was the last time a company cared that much for you? Zappos instead decided to change its entire management culture. Or to be more accurate, to get rid of it. They instituted what’s called a holacracy where employees don’t have managers or supervisors and instead govern themselves. They set their own goals and they solve their own problems without having to check in with a manager. That doesn’t mean they aren’t accountable to anyone. Like the old Methodist “classes,” everyone belongs to a circle of peers who review one another and help one another. The company succeeds or fails together. But as one person said, it sounds like a recipe for chaos. That’s what I first thought when I heard about Zappos’ business model. It sounds like a recipe for chaos. Actually, it sounds like a recipe for disaster. Letting employees make up their own goals? How hard would that be to accomplish? “Um, I’m going to sell one pair of shoes per month – DONE! Accomplished my goal in the first week!” It seems like a system doomed to failure. Don’t we NEED a leader? Don’t we NEED someone to set our goals for us, to tell us what constitutes “success” in our jobs? Wouldn’t people completely take advantage of a system where you didn’t have anyone looking you’re your shoulder? Maybe not. Zappos seems to be doing pretty well. But it made enough people uncomfortable that 14% of the employees left the company. Zappos knew that what they proposed was pretty revolutionary and offered to buy out any employee who felt uncomfortable about the direction the company was taking and 14% of them up and left. But the ones that stayed seem to be pretty happy about things. Still, there’s something comforting for us about having a human leader. Someone who will tell us what to do. When it comes down to it though, the idea of an holacracy sounds pretty Biblical. We’re going to read a story about a kind of Biblical holacracy in the first book of Samuel this morning. If you have a Bible or a Bible app on your phone, please turn to 1 Samuel 8:1-21. 1 Samuel 8:1-21. Now this story takes place after Samuel has become leader of all of Israel. Samuel isn’t a king. He’s just a prophet. A great prophet mind you, but not a king. He led the Israeli people against the Philistines and won a huge battle against them and never again during his leadership were they threatened by the Philistines. Samuel was fiercely loyal to God and helped to lead the Israeli people back to their faith after they once again drifted away. But Samuel was growing old and no one seemed capable of replacing him. So the people asked for a king, and this is that story. Samuel must have been disappointed. He had tried to warn them of the consequences of having a human king, but the people wouldn’t listen. 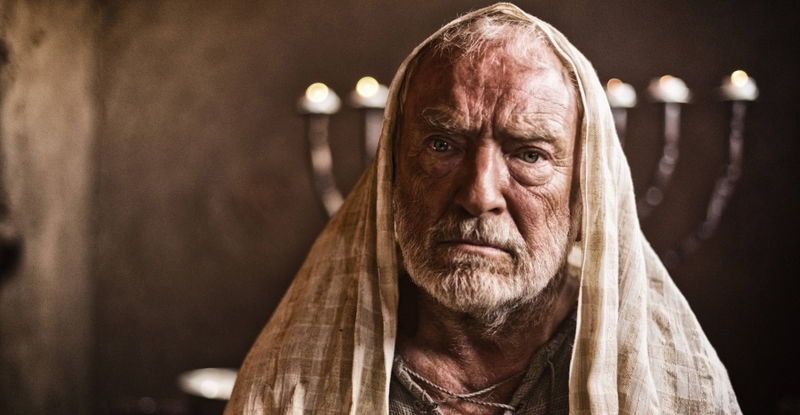 He tried to tell them that they had the only king they ever really needed was God, but they still wouldn’t listen. Even after God had saved them from exile, had found for them the promised land, and had fulfilled his promises to them, still they wouldn’t listen. Samuel felt bad about it, but God told him, “It’s not your fault. They are rejecting me, not you.” And God was of course right. Listen to what the people were saying, “We want a king over us (verses 19-20). Then we will be like all the other nations, with a king to lead us and to go out before us and fight our battles.” With a king to lead us and to go out BEFORE us and FIGHT OUR battles. What the people of Israel really wanted was someone to take responsibility away from them and do the work for them. What they really wanted was someone to take responsibility away from them and do the work for them. Not that they wouldn’t help out or that they were going to do nothing. But in the end, they didn’t want to be responsible. If God was their king, then they alone would be responsible for their actions, but if someone else was king then it was the king’s fault and not their own. They wanted to put some distance between themselves and responsibility. More often than not, we know the right thing to do, we just don’t want to do it. Or we know we need to change, but we don’t want to leave our comfort zone. Or we know we’re not doing what we need to do, but no one wants to take responsibility for doing it different. Let someone else make those decisions and if it goes bad, we’ve got someone else to blame. But that’s not the way God ever wanted it. God always intended for the church to have one head – Jesus Christ. God always intended for the church to have one head – Jesus Christ. He didn’t expect the church to be led by any one person or any one group of people. God intended for us to be led by the life, actions, and teachings of Jesus and then to just act accordingly. Pastors haven’t done a great job of encouraging this either. 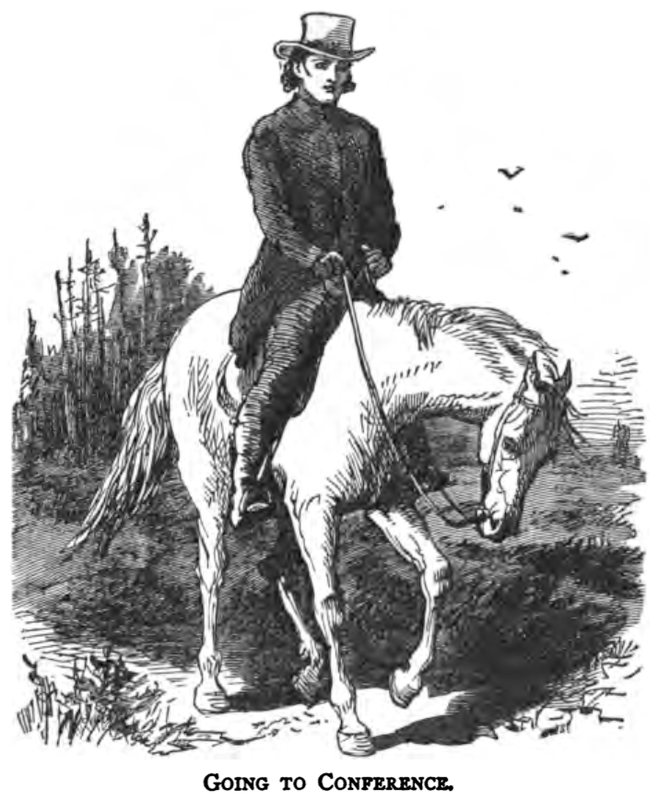 In the early Methodist church, an ordained pastor would come by about once a month if you were lucky. Which is how the tradition of once a month communion began. In between, the pastor would be itinerating from church to church along his circuit and would only get back to each one about once a month. So the everyday running of the church, the preaching and teaching and visiting of the sick and elderly, was all done by the laity. The everyday running of the church – the preaching, teaching, and visiting of the sick and elderly – was all done by the laity. The Methodist church was always meant to be a lay-driven church. But somewhere along the way, as we got more pastors and itinerated less often, the pastor became the head of the church and the people deferred to the pastor. The worst part was the pastor let it happen. I don’t know if it’s because pastors liked the power and notoriety that came with being a community leader or if they had their own messiah complex, but pastors let it happen. And the church became more dependent on the pastor for guidance and leadership. But pastors are just people. They have certain gifts and strengths that they should give to the church, but leadership in the church is something we are meant to do together under the guidance and kingship of Christ. That’s why it’s so important to be guided by prayer and discernment. Because the more of us that are praying the more likely we’re going to be in getting it right. The more of us that are praying, the more likely we are to get it right. It’s comforting to sit back and let someone else make the decisions. To ease the burden of responsibility. Brian Robertson who came up with the process of holacratic governance said it this way, “There’s something almost safe and comforting, even when we don’t like it, about being in a system where there’s somebody else whose job it is to protect us, take care of us, nurture us,” Robertson says. “And when they don’t do that well, we get to be angry with them and blame them and hide behind them.” But if we are to be the church of Jesus Christ we need to do better. If we are to thrive and bring more people into the church so that they can hear the message of Christ in their lives, we need to do better. We need to take responsibility for where the church is and where it’s going to go. We have to rethink our expectations and come up with a better way for this to work. Because I’m not going to save this church, and you’re not going to save this church, but together with prayer and discernment we can let God lead this church to do what He thinks is best. In the name of the Father and of the Son and of the Holy Spirit. Amen.